"... We know this incident also has tainted the entire witness of the March for Life and express our most sincere apologies to all those who attended the March and all those who support the pro-life movement." Good boys. Misogynists are shown to be bigots in other ways. Ann Coulter is 98 pounds of toxic waste wrapped up in lizard skin. Ouch, that's a low blow. ... The FBI’s 46-page report on Bamn, obtained by the government transparency non-profit Property of the People through a records request, presented an “astonishing” description of the KKK, said Mike German, a former FBI agent and far-right expert who reviewed the documents for the Guardian. ... The Bamn case follows numerous recent controversies surrounding the FBI’s targeting of leftist groups, including a terrorism investigation into Standing Rock activists, surveillance of black activists, and spying on peaceful climate change protesters. Tyler Watkins Davis, of Middleburg, Florida, entered the Alford plea to a charge of malicious wounding Friday morning in Charlottesville Circuit Court. The plea means Davis acknowledges there’s enough evidence to convict him while not admitting guilt. Davis was one of four people charged with attacking Harris, 21, in the hours after “Unite the Right” turned violent on Aug. 12, 2017. Davis is scheduled for sentencing Aug. 27. Three others, 20-year-old Daniel Patrick Borden, Jacob Scott Goodwin, a 24-year-old neo-Nazi sympathizer from Ward, Arkansas, and 34-year-old Alex Michael Ramos of Jackson, Georgia, have pleaded guilty or been convicted of the attack on Harris. Davis is a charter member of the D.B. Coleman chapter of the Florida League of the South based in Middleburg. The “Unite the Right” rally also saw the arrest of 21-year-old James Alex Fields, of Maumee, Ohio, who is serving life plus 419 years in prison after being convicted of murder in the death of 32-year-old Heather Heyer. Police say Fields rammed his car into a crowd, killing Heyer. Fields also faces federal hate crime charges related to the incident. Conspiracy theorist Alex Jones has been ordered to answer questions during a five-hour deposition in a defamation case brought against him by families of Sandy Hook school shooting victims. The Infowars founder has repeatedly held discussions on his web shows in which the massacre has been described as a hoax. Grieving relatives of those killed have been called actors. Now, Mr Jones is being sued by the families of eight victims and an FBI agent who was one of the first on the scene. It appears Alex is about to lose the info war......his info is not gonna make the nut. Prosecutors say a Coast Guard lieutenant is a "domestic terrorist" who wrote about biological attacks and had a hit list that included prominent Democrats and media figures. Whoa. CNN says that he works at CG HQ in DC. If Trump sees this, the guy will be promoted to Admiral, which is not a common thing in the Coast Guard. As Admiral of the Fleet, I would have that CG lieutenant walk the plank, tote that barge, and lift that bale....not necessarily in that order I bet Roger Stone is jealous of that NRA story; he had a swing and a miss. At the same time, racist and antisemitic violence continued to plague the country, following the same escalating pattern as hate groups. FBI statistics show that hate crimes increased by 30 percent in the three-year period ending in 2017. (The FBI has not released figures for 2018.) The increase followed a three-year period in which hate crime incidents fell by about 12 percent. The SPLC’s annual hate group count and analysis is contained in the Spring edition of the Intelligence Report, released today. The SPLC today also launched an updated, interactive hate map showing the locations of hate groups nationwide. For nearly two centuries, US politicians have channeled extremism outward. But the frontier is gone, the empire is faltering, and the chickens are coming home to roost. Fascinating and sad. The perpetually butthurt, irresponsible and terrified cons will always find a target, abroad or here. 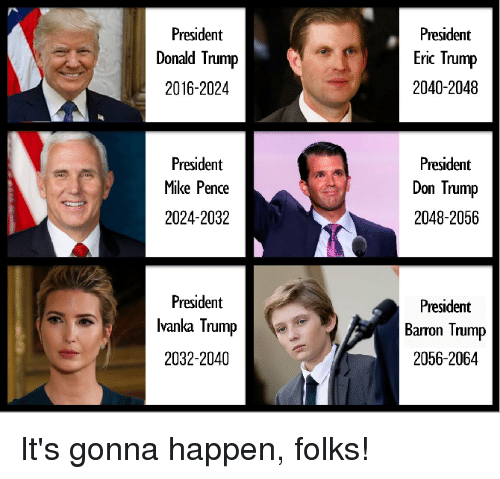 I have trouble thinking of living the rest of my life with a trump clone....boggles the brainpan Hell, these past couple of years have been enough. I read today that Lindsey Graham is going to lobby the trump mafia to recognize the Golan Heights as part of Israel. I suppose Syria will not like this. But I guess Lindsey figures it's a good chance to get into another war in the Middle East. I hope some wayward pilot drops a bomb on Lindsey's place at Hilton Head Island while he's in the shower. Now that's diplomacy. Je suis Christchurch x 2. All interesting to me, but some bits stood out. Your treehugger card is hereby revoked. Tarrant said he had planned the attack for two years and had chosen Christchurch three months before. He said he chose firearms for the attack because he believed it would mobilize the “left wing” in the United States to “abolish the second amendment,” which would in turn upset the “right wing” and fracture the U.S. “along cultural and racial lines." They always think they're going to spark a revolution or great societal change, but it never happens. Not sure what he's referring to, but those must be VERY extreme actions that she calls for. Ummm, idiot crybaby, "the media" and "The Left" are NOT saying that you "inspired a mosque shooting in New Zealand," the rightwing terrorist is.